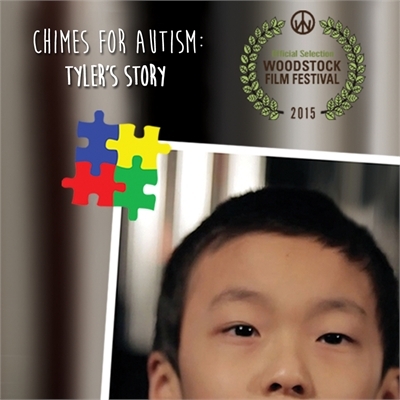 Woodstock Chimes for Autism | Faddegon's Nursery, Inc.
Give the gift of Autism research. We love these beautiful chimes and the story behind them is truly inspirational! We’re so happy to show you Tyler’s Story. The Centers for Disease Control and Prevention estimate that 1 in every 68 children has been identified with Autism Spectrum Disorder. The Chimes for Autism from Woodstock Chimes are beautifully hand-crafted with a specialized clapper displaying the interlocking, multi-colored puzzle piece that symbolizes autism. 100% of the wholesale after-tax profits are donated to autism research and treatment. This chime was specifically designed to sooth the affected who are often hyper-sensitive to sounds. Tuned to the opening notes of Mozart’s Piano Concerto No. 21 these chimes have proved time and again to be loved by those with this disease. If you know someone affected by autism we highly suggest this gift.